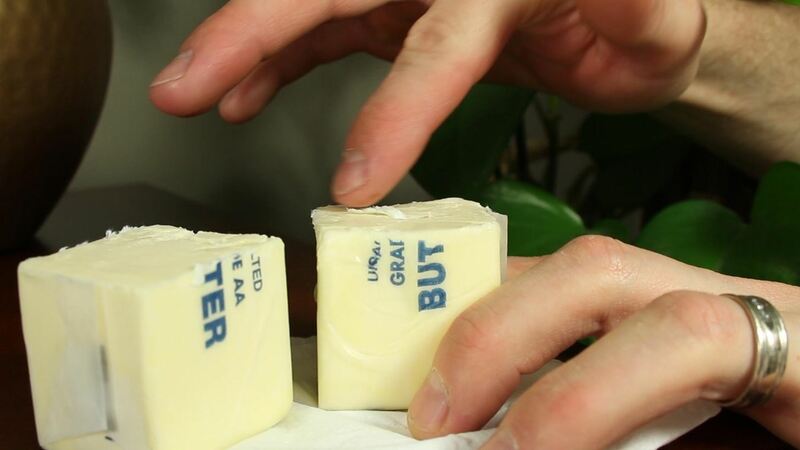 Most people wouldn't think of butter as a flammable substance, but in this project—it definitely is! 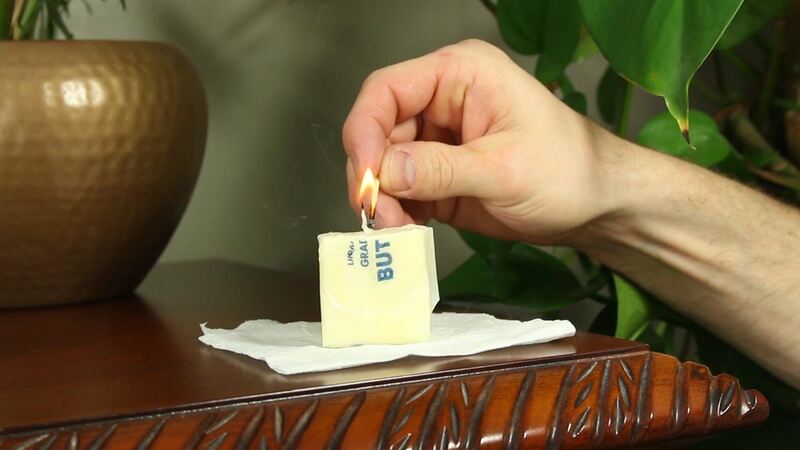 We're making emergency candles that burn for hours using just some toilet paper and a bit of butter! WARNING: An open flame poses a fire hazard. Do not use near any flammable or explosive material. Use of this video content is at your own risk. 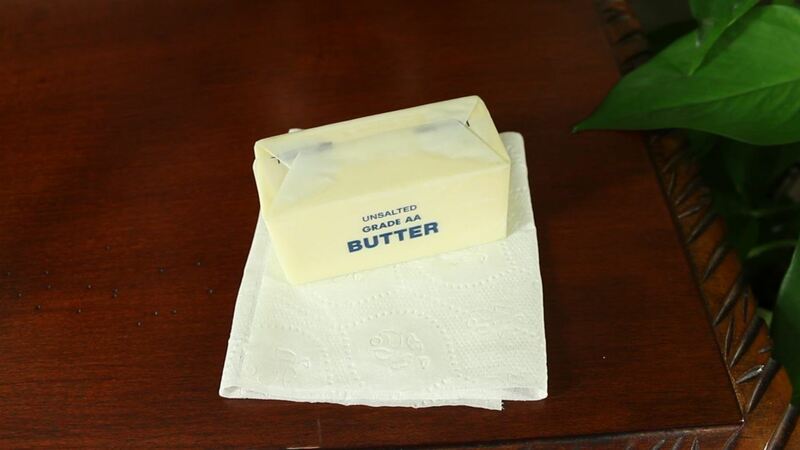 Butter and toilet paper—this is about as simple as it gets. Just find some butter (margarine will probably work, too) and a small piece of toilet paper (a paper towel will also work just fine). 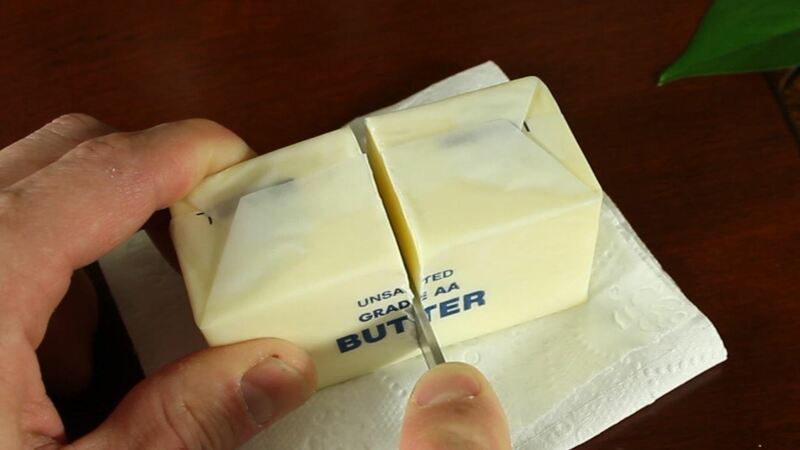 You can cut the block of butter into as many pieces as you want. As a rule of thumb, I've found that 1 tablespoon of butter will burn for about 1 hour. 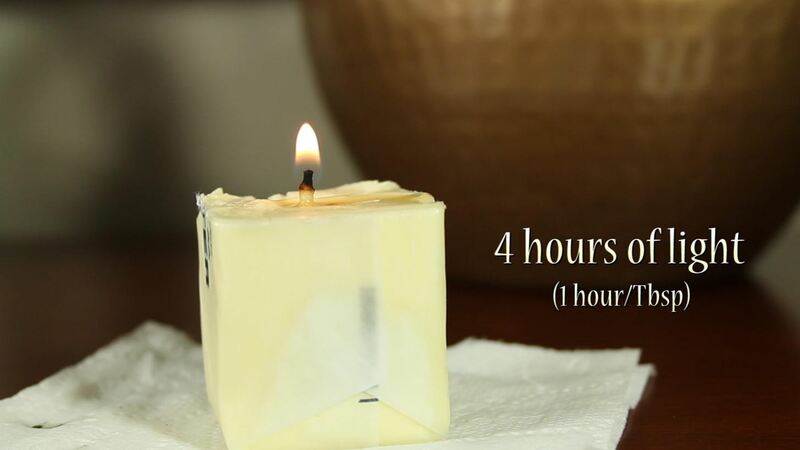 I used a 4 ounce bar of butter (8 tablespoons) and cut it in half to give me two four-hour candles (4 tablespoons each). Cutting the bar with the seam at the top will help minimize the paper from ripping as you cut through the block. 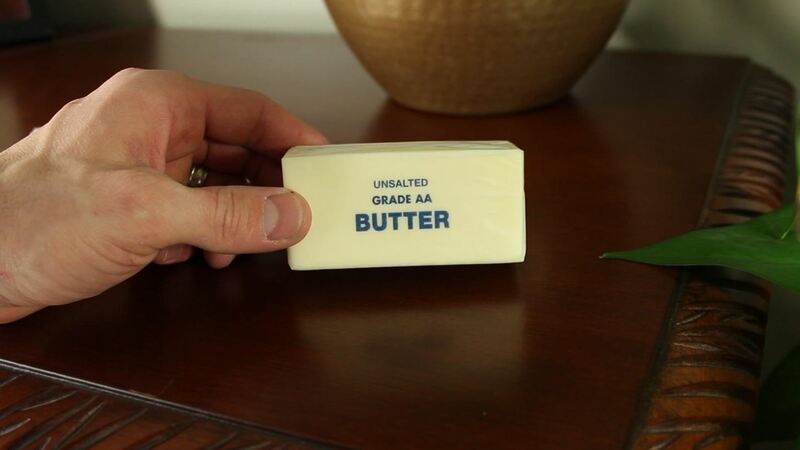 Also, the colder/firmer the butter is, the cleaner your cut will be. If you're trying what I did, you should have 2 halves with the exposed butter side facing upward. Take something like a skewer or toothpick and poke a hole in the top at the center. The hole should reach all the way to the bottom. Next, take your piece of toilet paper and twist it tightly. 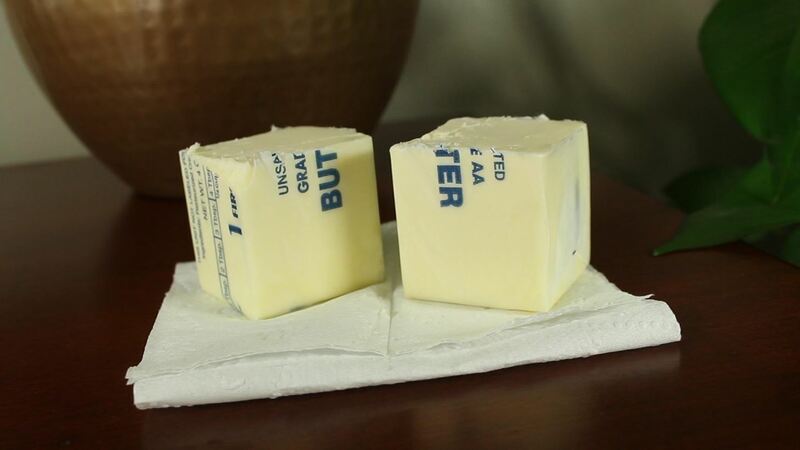 I put a bend at the bottom so that when it stands next to the block of butter, only about 1/4" is exposed at the top. 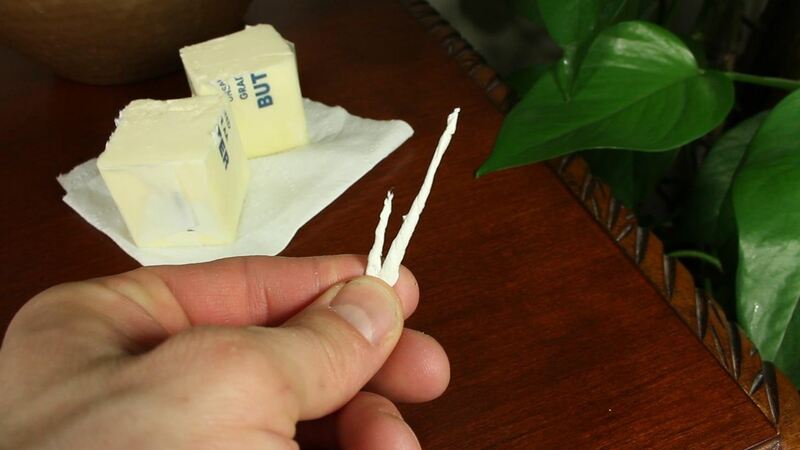 Your butter candle is now ready for assembly. 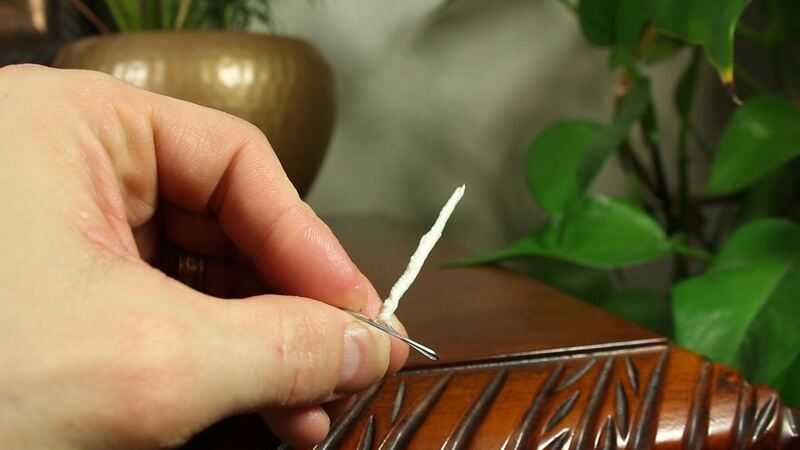 Using your skewer or toothpick, push the make-shift wick down into the hole until it touches the bottom. Give it a little twist to release, and pull the stick back out. If you did it right, you should only have 1/4" of the wick poking out of the center. 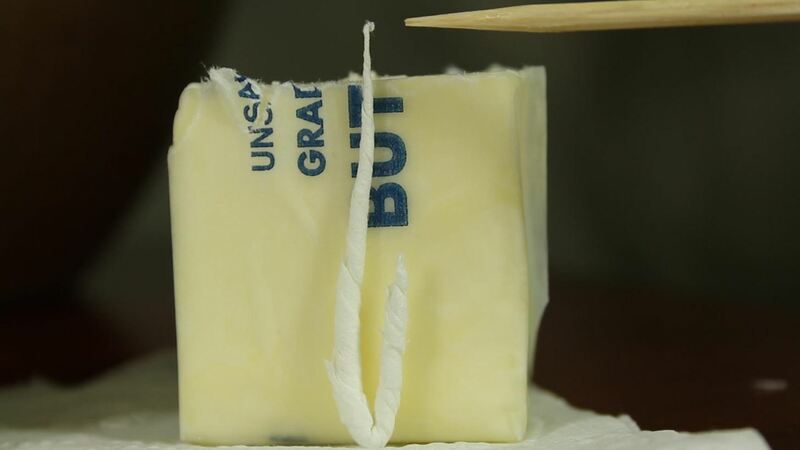 The wick needs a little starter fuel, and that can be added by rubbing the wick tip down into the exposed butter at the top. 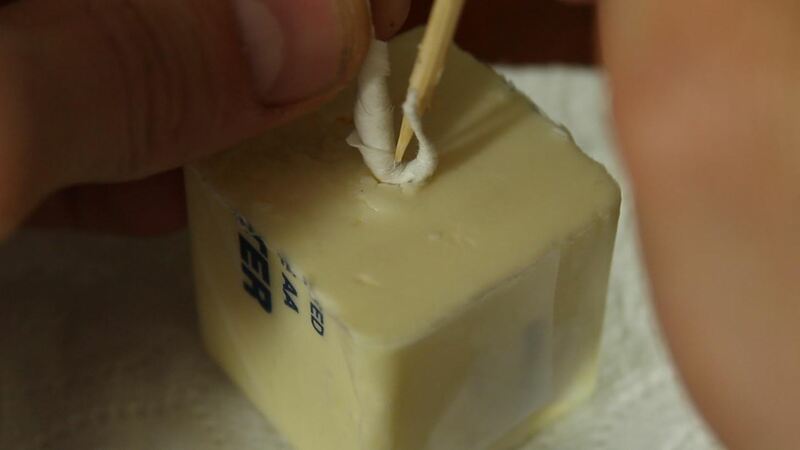 When you strike your match, hold the flame near the butter at the base of the wick. 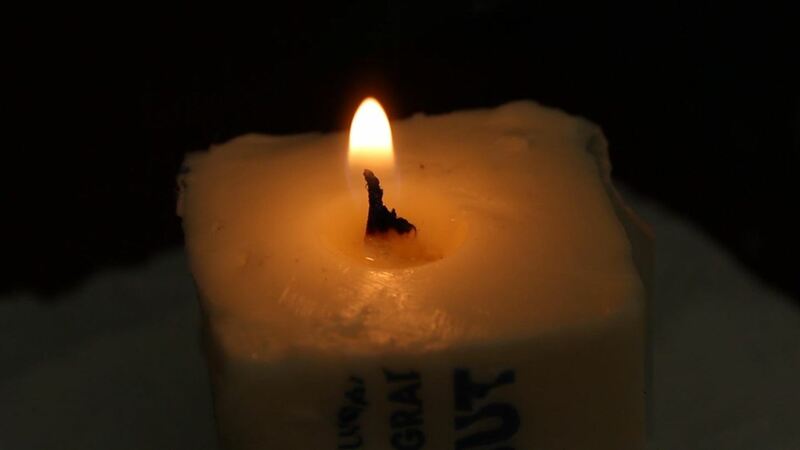 The butter needs to melt a little for the flame to become self-sustaining, so it may take a couple of seconds. 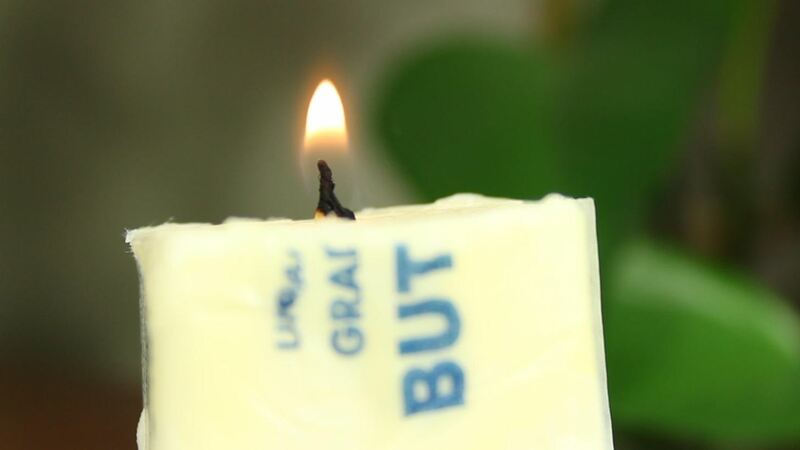 You may see the flame dim down for a few seconds at the beginning, but once the butter warms up a little, the flame should grow right back up to full size. This works for the same reason a candle does. As the butter melts, it's wicked up into the toilet paper stem and vaporized by the heat. The vapor is flammable, and it's acting as the fuel for the flame. 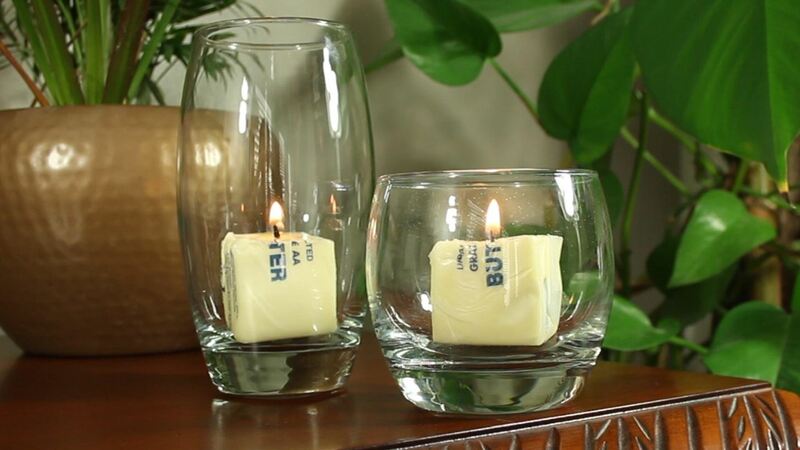 These butter candles burned for 4 hours each, giving a total of 8 hours of heat and light from the original bar. 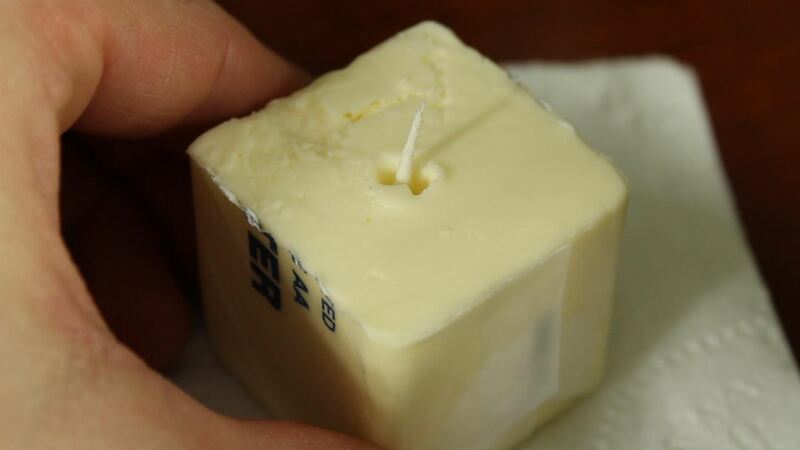 Note: After a couple of hours, the butter warms up to the point where it melts and the wick may fall over. In this case, it's useful to take a paperclip and make a support for the wick. 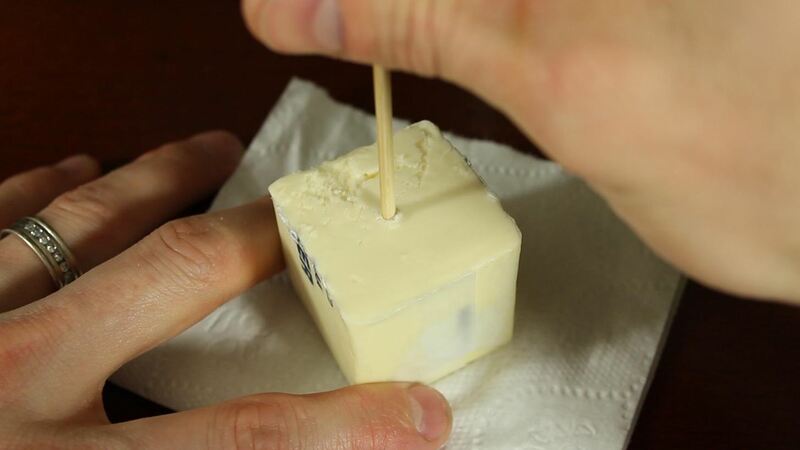 To do this from the beginning, just insert the wick and paperclip together from the bottom of the butter block. 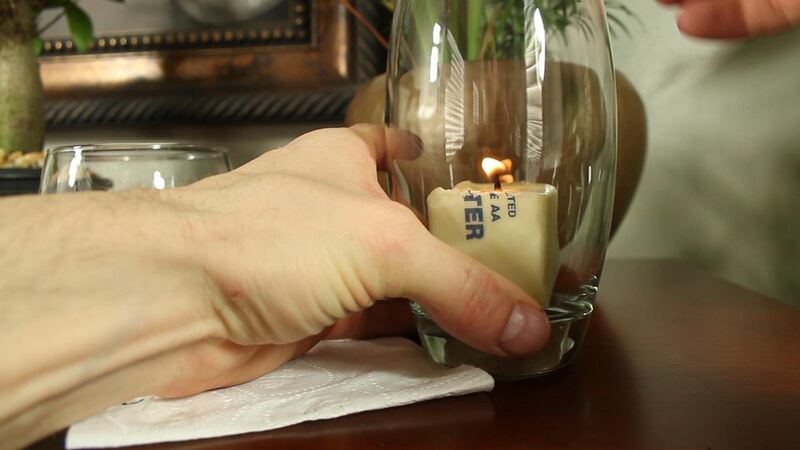 Dropping the candles down into something like a glass can help protect them from drafts, and reduce the risk of your candle becoming a fire hazard. You also have the added benefit of an interesting DIY ambiance to your room. 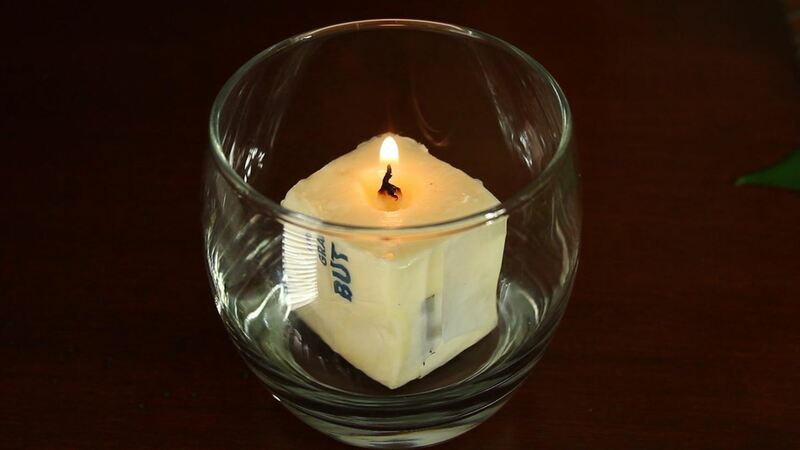 Well, now you know how to make a simple emergency candle with some toilet paper, and a bit of butter!